Ever been to Vegas? Informer has. It was one of the stopovers during my trip across the US on a Greyhound bus last millennium. What sticks with me is the way the city just appeared and then disappeared, seemingly out of and then back into nowhere. Canberra's a bit like that, believe it or not. The Informers recently enjoyed a week in our nation's capital which, Vegas-like, sits in the middle of nowhere and is a monument to expedience. Critics of Canberra, and there are many, might get all smugly cynical at this point and say: "Idiots. Look what you did. Canberra is what you did. This is why we can't have nice things." 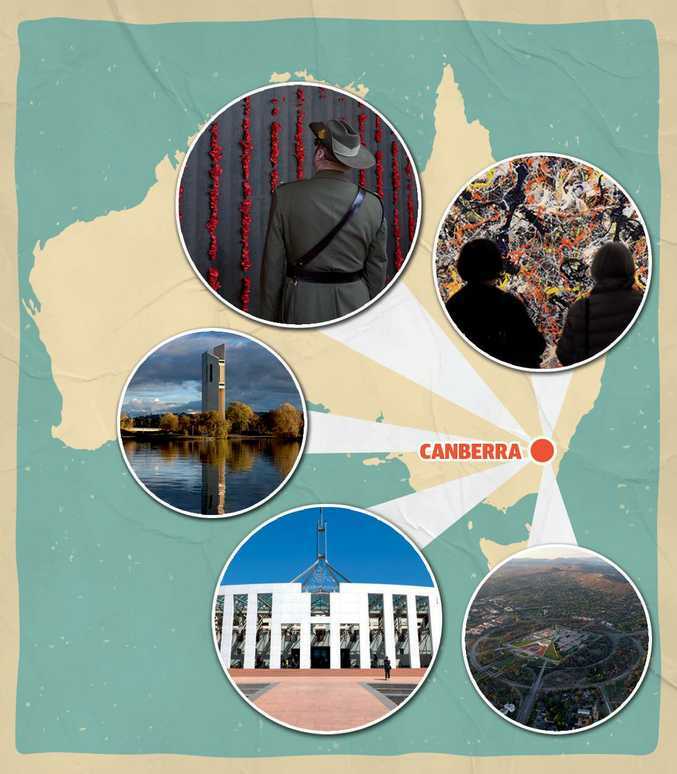 However, the fact that Canberra isn't much fun should not imply that it lacks exceptional experiences. They just tend more towards the respectful and reverent than the escapist. The Australian War Memorial is by far the most affecting, with our tour beginning at a bullet-riddled landing craft that delivered Australians to Gallipoli on that first Anzac Day in April 1915. Just when I doubted I could be more moved, we entered the domed Hall of Memory - with the Tomb of the Unknown Soldier - and it was as if the Earth moved off its axis. Informer was not alone in struggling to maintain composure, such is this place's emotional and somehow even physical weight. It and the Roll of Honour took my breath away, which I accept is a wholly inadequate description for the remembrance of those whose breath was taken away for real, and completely. Jacobsons among them. Of the National Gallery of Australia and the National Portrait Gallery, Informer is warmer for the former because it holds my favourite painting - Jackson Pollock's Blue Poles - along with a permanent exhibition by my favourite Australian painter: Sidney Nolan. An alarm sounds if you step too close to Blue Poles. I set it off six times, not so much drawn to the painting as I was eager to be drawn into it. As for Nolan's Ned Kelly series, Informer is reminded of a time in New York. I was wearing a T-shirt emblazoned with Nolan's name and Ned's helmeted head when I felt a hand on my shoulder and turned to find a Big Apple cop staring at me. "I'm a Nolan too," she said, tapping her nametag and my chest with her baton. "Where you from? Yeah? I got a cousin in Sydney. Works construction. You know him?" Back in Canberra, the National Library of Australia was an indulgent thrill. To see my own books, and then to sign them, was quite the ego trip. Parliament House is also worth visiting, the old and the new, although I was more impressed standing outside than exploring within. Outside you still get a sense of aspiration; inside not so much. Still, if you need a place to bung 226 MPs and senators, Canberra will do. Canberra does have issues. The taxis cost too much, hardly anyone takes advantage of Lake Burley Griffin, the locals can't fathom why anyone from the outside world would visit, and the CBD is duller than something really, really dull. 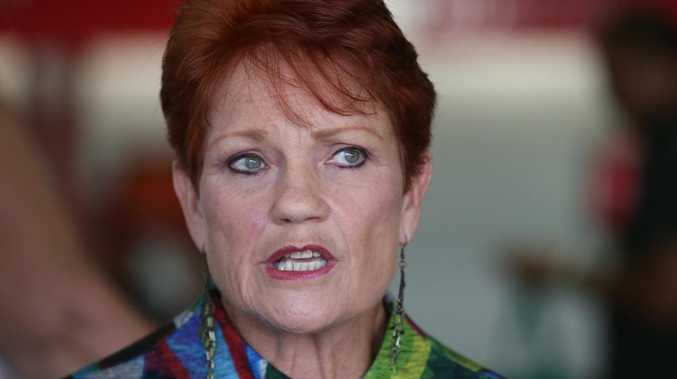 Also, by the third day I'd have voted One Nation for a decent piece of fruit. All up, however, I enjoyed Canberra. It's not Vegas, but in its own way it's a hard ACT to follow.